Preventive interventions for postnatal psychosis1 is a systematic review published in the Cochrane Database of Systematic Reviews in 2013. It aimed to investigate the best available evidence on interventions for preventing Postnatal Psychosis derived from all relevant randomized controlled trials. Unfortunately, no studies were found. Thus, this review was rendered empty by the lack of trial-based evidence but at the same time it was filled with unanswered questions and a plea for the research community to get cracking on this highly important topic. Affected women and their relatives around the world deserve randomized controlled trials that answer this question. Postnatal Psychosis affects approximately one to two in every 1000 new mothers within a few days of childbirth2, and it follows an episodic course. It can last many months without treatment, but usually resolves within a few weeks with modern therapy. Postnatal psychosis is more common in first time mothers, and it appears to have a specific heritable factor3 with probable linkage to chromosome 164. Factors that increase the risk of postnatal psychosis include primiparous mothers who are single, who are older5,6, or with a past psychiatric history and family history of affective psychosis in first or second degree relatives(7,8,9,10,11), prenatal depression12 and autoimmune thyroid dysfunction13. Mothers who have experienced a previous postnatal psychosis are at significant risk of future episodes, some of which occur after other children are born, some during pregnancy or after an abortion, and some unrelated to childbearing(7,14,15,16,11,17,18). The risk of a future postnatal recurrence of a psychotic episode lies between 25% and 57% and the risk of non-postnatal relapse is even higher. Some women have typical manic symptoms, such as euphoria, overactivity, decreased sleep requirement, loquaciousness, flight of ideas, increased sociability, disinhibition, irritability and delusions, which are usually grandiose or religious in content. Others have severe depression with delusions, auditory hallucinations, mutism, stupor or transient swings into hypomania. Some switch from mania to depression (or vice versa) within the same episode. Atypical features include perplexity, confusion, emotional states including extreme fear and ecstasy, catatonia or rapid changes of mental state with transient delusional ideas .The most commonly recalled symptoms are feeling excited, elated or high, not needing to sleep or inability to sleep, feeling active or energetic and talking more or feeling very chatty19. Sadly, postnatal psychosis can lead to the mother neglecting, harming and even killing her baby, in addition to an increased risk of suicide. Preventive interventions for postnatal psychosis aim at identifying women with risk factors, early recognition of imminent psychosis through screening, and preventive drug therapy20. Mood stabilizers, antipsychotic drugs21, 22 and hormone therapy23 may be beneficial in the prevention of postnatal psychotic episodes in women at high risk. The causes of postnatal psychosis are still poorly understood. Hormonal fluctuations are associated with increased risk of affective dysregulation and mood episodes in women with bipolar disorder24, and there may be a genetic basis for the trait of postpartum mood symptoms in women with bipolar disorder25. A review of available studies supports a link between postpartum psychosis and bipolar disorder, with implications for perinatal prophylactic treatment21. Preventive interventions for postnatal psychosis might work through early diagnosis and prophylactic treatment with mood stabilizers and antipsychotic drugs. Risk factors can be easily identified and are highly predictive26, 27, and early detection may be followed by a variety of other interventions. Lithium is the mood stabiliser with the most evidence for prophylaxis of psychosis28. Given either in late pregnancy or immediately after delivery, lithium may prevent the development of postnatal psychosis in high-risk women29, 30, 31. In addition, preventing sleep loss near delivery may avert an episode of postpartum psychosis32. The search of databases identified 54 records. After screening the records, three full-text articles were assessed; two planned trials that do not seem to have commenced (Nakigudde 200833 and Paykel 200034 ) and a published report (Destounis 1965)35, which was excluded because it was a case series report of eight cases of depression. However, this is not an ‘empty review’ – it is a review full of unanswered questions. The non-randomized controlled trials and the two designs seen in the studies awaiting assessment, suggest that randomized studies of preventive interventions for postnatal psychosis are possible. Nakigudde 200833 and Paykel 200034 both seemed studies that were possible to undertake. For women at risk and their caregivers: they are justified to be disappointed in the medical/research fraternity. Those interested may wish to lobby for studies in this area. For clinicians: Despite growing interest in women’s mental health, the literature in the area of postnatal psychosis is still very limited. It seems that clinicians have no choice but to continue with their current practices using clinical judgment because of the lack of randomized evidence to help guide their choice of intervention. Clinicians have a responsibility to lobby and help good research in this area. For policy makers: they have no randomized evidence upon which to base guidelines for the prevention of postnatal psychosis. They are likely to continue to rely on opinion and habit when making their recommendations. Essali A, Alabed S, Guul A, Essali N. Preventive interventions for postnatal psychosis. 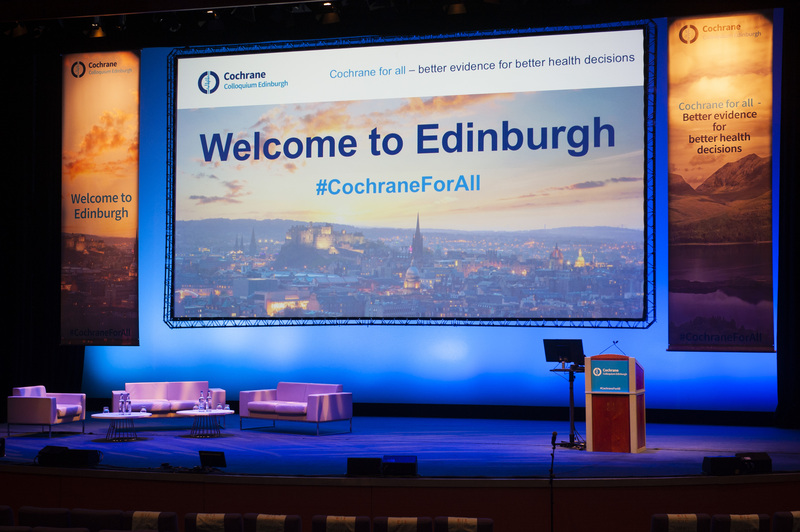 Cochrane Database of Systematic Reviews 2013, Issue 6. Art. No. : CD009991. DOI: 10.1002/14651858.CD009991.pub2. 2. Spinelli MG. Postpartum psychosis: detection of risk and management. American Journal of Psychiatry 2009;166(4):405-8. 3. Jones I, Craddock N. Familiarity of the puerperal trigger in bipolar disorder: results of a family study. American Journal of Psychiatry 2001;158:913-7. 4. Jones I, Hamshere M, Nagle JM, Bennett P, Middle F, Green E, et al. Bipolar affective puerperal psychosis: genome-wide significant evidence for linkage to chromosome 16. American Journal of Psychiatry 2007;164:1-6. 5. Nager A, Johansson LM, Sundquist K. Are sociodemographic factors and year of delivery associated with hospital admission for postpartum psychosis? A study of 500,000 first-time mothers. Acta Psychiatrica Scandinavica 2005;112(1):47-53. 6.Valdimarsdottir U, Hultman CM, Harlow B, Cnattingius S, Sparen P. Psychotic illness in first-time mothers with no previous psychiatric hospitalizations: a population-based study. PLoS Medicine 2009;6(2):e13. 7. Benvenuti P, Cabras PL, Servi P, Rosseti S, Marchetti G, Pazzagli A. Puerperalpsychoses: a clinical case study with follow-up. Journal of Affective Disorders 1992;26:25-30. 9. Marks MN, Wieck A, Checkley SA, Kumar R. Contribution of psychological and social factors to psychotic and non-psychotic relapse after childbirth in women with previous histories of affective disorder. Journal of Affective Disorders 1992;24:253-63. 10. McNeil TF. A prospective study of postpartum psychoses in a high-risk group.I. Clinical characteristics of the current postpartum episodes. Acta Psychiatrica Scandinavica 1986;74:205-16. 11. Schopf J, Rust B. Follow-up and family study of postpartum psychoses. Part 1:Overview. European Archives of Psychiatry and Clinical Neuroscience 1994;244:101-11. 12. Ebeid E, Nassif N, Sinha P. Prenatal depression leading to postpartum psychosis. Journal of Obstetrics and Gynaecology 2010;30(5):435-8. 13. Bergink V, Kushner SA, Pop V, Kuijpens H, Lambregtse-van den Berg MP, Drexhage RC, et al. Prevalence of autoimmune thyroid dysfunction in postpartum psychosis. British Journal of Psychiatry 2011;198:264-8. 14. Pfuhlmann B, Franzek E, Beckmann H, Stober G. Long-term course and outcome of severe postpartum psychiatric disorders. Psychopathology 1999;32:192-202. 15. Robertson MMA, Jones I, Haque S, Craddock N. Risk of puerperal and non-puerperal recurrence of illness following affective puerperal (post-partum) psychosis. British Journal of Psychiatry 1995;186:258-9. 16. Robling SA, Paykel ES, Dunn VJ, Abbott R, Katona C. Long-term outcome of severe puerperal psychiatric illness: a 23 year follow-up study. Psychological Medicine 2000;30:1263-71. 17. Terp IM, Engholm G, Moller H, Mortensen PB. A follow-up study of postpartum psychoses: prognosis and risk factors for readmission. Acta Psychiatrica Scandinavica 1999;100:40-6. 18. Videbech P, Gouliaev G. First admission with puerperal psychosis: 7-14 years of follow-up. Acta Psychiatrica Scandinavica 1995;91:167-73. 19. Heron J, McGuinness M, Blackmore ER, Craddock N, Jones I. Early postpartum symptoms in puerperal psychosis. BJOG: An International Journal of Obstetrics & Gynaecology 2008;115(3):348-53. 20. Sharma V. Pharmacotherapy of postpartum psychosis. Expert Opinion on Pharmacotherapy 2003;4(10):1651-8. 21. Chaudron LH, Pies RW. The relationship between postpartum psychosis and bipolar disorder: a review. Journal of Clinical Psychiatry 2003;64:1284–92. 22. Sit D, Rothschild AJ, Wisner KL. A review of postpartum psychosis. Journal of Women’s Health 2006;15(4):352-68. 23. Ahokas A, Aito M, Rimon R. Positive treatment effect of estradiol in postpartum psychosis: a pilot study. Journal of Clinical Psychiatry 2000;61:166–9. 24. Freeman MP, Smith KW, Freeman SA, McElroy SL, Kmetz GE, Wright R, et al. The impact of reproductive events on the course of bipolar disorder in women. Journal of Clinical Psychiatry 2002;63(4):284-7. 25. Payne JL, MacKinnon DF, Mondimore FM, McInnis MG, Schweizer B, Zamoiski RB, et al. Familial aggregation of postpartum mood symptoms in bipolar disorder pedigrees. Bipolar Disorders 2008;10(1):38-44. 26. Oates M. Perinatal Maternal Mental Health Services. Council Report CR88. London: Royal College of Psychiatrists, 2000. 27. Royal College of Obstetricians and Gynaecologists. Why Mothers Die 1997-1999: The Fifth Report of the Confidential Enquiries into Maternal Deaths in the United Kingdom. Royal College of Obstetricians and Gynaecologists, 2001. 28.Grof P, Robbins W, Alda M, Berghoefer A, Vojtechovsky M, Nilsson A, et al. Protective effect of pregnancy in women with lithium-responsive bipolar disorder. Journal of Affective Disorders 2000;61:31–9. 29. Cohen LS, Sichel DA, Robertson LM, Heckscher E, Rosenbaum JF. Postpartum prophylaxis for women with bipolar disorder. American Journal of Psychiatry 1995;152:1641-5. 30. Stewart DE, Klompenhouwer JL, Kendell RE, Van Hulst AM. Prophylactic lithium in puerperal psychosis. British Journal of Psychiatry 1991;158:393-7. 31. Viguera AC, Nonacs R, Cohen LS, Tondon L, Murray A, Baldessarini RJ. Risk of recurrence of bipolar disorder in pregnant and nonpregnant women after discontinuing lithium maintenance. American Journal of Psychiatry 2000;157:179-84. 32. Sharma V, Mazmanian D. Sleep loss and postpartum psychosis. Bipolar Disorder 2003;5:98–105. Keeep tis going please, great job!